The naming convention is getting me a little confused this early on a Monday morning. We’ve already had the excellent Honor View20, which I reviewed here and loved. Now, though, it looks like there’ll be more “20 Series” phones coming soon. Honor have put out this launch notification which features the number 4 quite a bit. 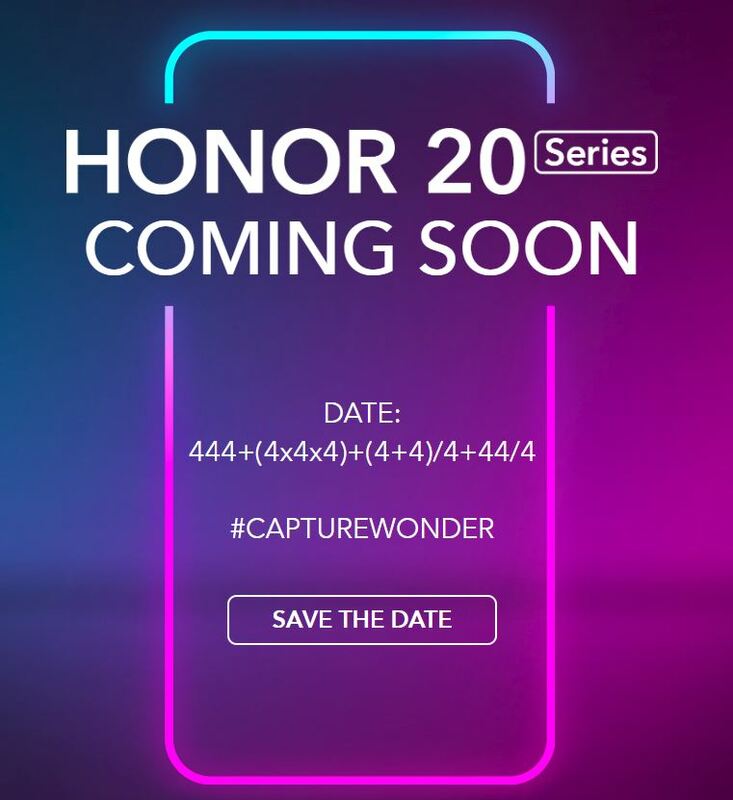 That could be pointing to a quad-camera setup possibly, and that seems to be reinforced by this promotional image which praises the photography side of the phone..
As usual, we’ll bring you all the news as it happens.